Krypton Comics is Martinsville's only comic book and gaming shop. Open since 2004, Krypton Comics is locally owned and operated and always family-friendly. The shop hosts weekly gaming and special events throughout the year. 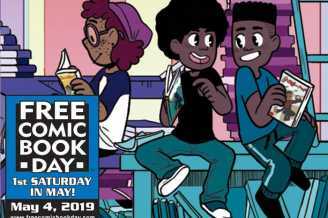 The first Saturday in May is always Free Comic Book Day and the Krypton Mini-Con featuring local and regional artists, cosplayers and special guests.